When your company has an opening, it can be difficult to search for new employees while trying to focus on your core responsibilities and tasks. It can also be painful to make an offer to a candidate that you love, only to have them reject the offer. Providing explicit details on what benefits your company offers and when someone will be eligible for those benefits before making an offer ensures there will not be any surprises when the offer letter is presented. Communicating the level of flexibility in a particular role and the expectations the company has regarding their employees’ availability before making an offer can help ensure candidates fully understand the nature of their role and the time commitment expected of them. Discussing short- and long-term goals and expectations before making an offer can help candidates foresee whether or not they have a future with your company. In the same way, knowing up front where your team members want to go in their career allows you to provide outlets for them to achieve those goals. If your candidates feel like you have both their best interests and the company’s best interests at heart, they will be more likely to stay and grow with your company. Given the current positive economic climate, the workforce market heavily favors employees and job seekers. If you have a candidate you love, you need to stay in touch with them and ensure they are receiving prompt, accurate, and enthusiastic communication from you or your recruiting team, even after making an offer. Assuming they will still be available when you are ready for them to start without staying in contact is a risky decision, and could result in losing your top candidates, forcing you to start the hiring process all over again. In the current economic climate, many candidates are considering more than one position at any given time and may be presented with multiple job offers. If you offer a salary that is well below market value, it will be hard to find top talent to fill those openings, and even more challenging to motivate employees to stay with your company instead of pursuing more lucrative opportunities. To ensure your positions are competitive, Greene Resources offers accurate and real-time salary data reports as a free service to help our customers on their hiring journey. If you would like a free salary report for one of your open positions, just let us know. Greene Resources is committed to putting people first and exceeding expectations through purposeful talent solutions. By valuing our people above all else, we make a lasting impact in the careers, businesses, and lives of those we serve. Whether it’s assisting your company with a salary report, conducting a review of your benefits offerings, or assisting you to locate and land top talent for a special project or urgent need, we would love to see how we can help your business. As the summer months approach, employee minds often wander to upcoming beach trips, vacation days, and relaxation. 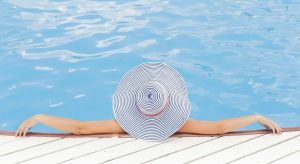 To help your team enjoy the summertime while ensuring company goals and objectives are met, keep these strategies and best practices in mind as ways to prepare for a productive summer. 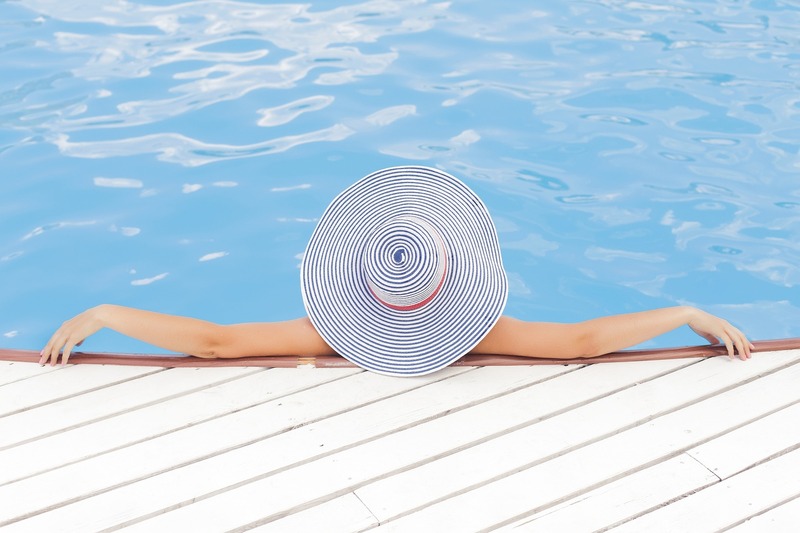 Is summertime a slow time for your industry? If so, employees need to understand how to use the extra time they may have in a way that will be helpful and meaningful in the future. Encourage group brainstorming sessions with a focus on adding value. Determine how to create greater efficiencies or ways to improve processes to help prepare for the approaching busy season. 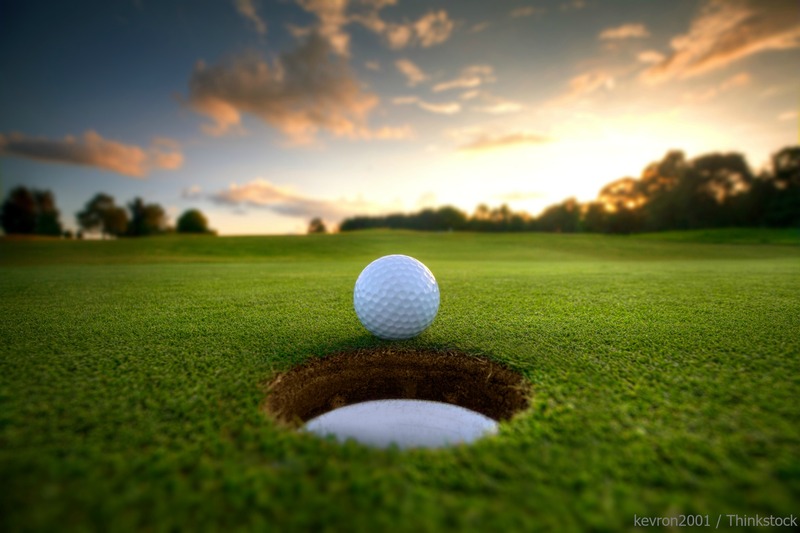 Is summertime a busy season for your industry? Communicate to your employees what that means for their workload and how their performance will be measured during those months. Managing your employees will be easier and more effective if they know they will be able to step away from the office to attend the graduation, wedding, or vacation they have on their schedule. When appropriate, allowing employees to rework their schedule around personal needs will help them focus while they’re in the office. To ensure productivity levels stay high while employees are covering for out-of-office colleagues, consider adding a contract employee or summer intern to your team. Short-term hires can provide a much-needed extra set of hands during the summer months while providing valuable experience and a meaningful opportunity for the interim employee. Improving communication, offering flexibility, and ensuring all teams are well-equipped for success are effective ways to reduce turnover, increase productivity, and increase employee satisfaction. The summer season is a great opportunity to test different approaches that both help employees and are realistic for your business. Greene Resources’ flexibility arrangements and management have been nationally recognized as being effective and innovative. We would love to see how we can help you find and retain the talent you need. Greene Resources has been honored with a 2017 When Work Works Award for exemplary and effective workplace practices. The prestigious When Work Works Award is part of the Society for Human Resource Management’s (SHRM’s) When Work Works project. This national initiative helps employers become more successful by transforming the way they view and adopt effective and flexible workplaces. The award recognizes employers of all sizes across the country that are excelling at offering a variety of top-rated employee initiatives. Some of these initiatives include work-life fit policies, flexible scheduling, and transition to parenthood programs. The award goes beyond work-life programs. It also includes initiatives that address the additional evidence-based aspects of effective workplaces. This may include opportunities for learning, a culture of respect and trust, and job autonomy. In applying for the award, Greene Resources was evaluated on factors associated with employee health, well-being and engagement: opportunities for learning; a culture of trust; work-life fit; supervisor support for work success; autonomy; and satisfaction with earnings, benefits, and opportunities for advancement. To win the award, companies must undergo a rigorous assessment that emphasizes the real-life experiences of employees. The assessment incorporates national benchmarks of employer practices from the National Study of Employers and the employee experiences from the National Study of the Changing Workforce. A survey of an organization’s employees makes up two-thirds of the organization’s final score. Greene Resources was recognized on May 19, 2017 by The Triangle Business Journal as the Top Technical Staffing Company in the Triangle. The Triangle Business Journal’s annual Book of Lists provides rankings of top companies in various industries throughout the Triangle. These rankings provide valuable data to consumers and businesses. The List of Technical Staffing Companies ranks technical staffing companies in the Triangle by the number of technical persons placed in the area during 2016. In 2016, Greene Resources recruited and placed over 500 individuals in technical fields. This was the highest number of technical employees placed compared to other agencies in the area. 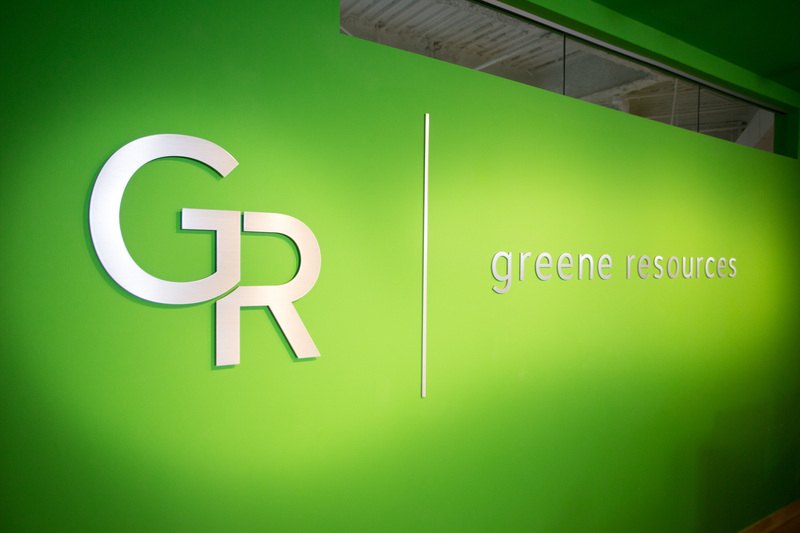 Since opening its doors in 2000, Greene Resources has placed over 20,000 people in businesses throughout the Triangle and has established itself as a premier local recruiting firm. 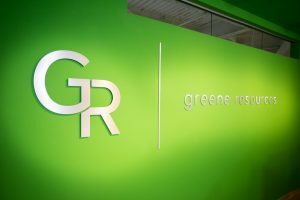 Greene Resources invests its time and energy into locating talented people who care about what they do and will become invaluable assets in their positions. It’s more than just filling a job opening. It’s about finding the one person who will make a lasting impact on their company’s team and culture, as well as feel accomplished through their work. Are you are looking for top talent or a new purposeful and long-term career? Greene Resources’ expertise in the recruiting industry can be a strong resource for your business. 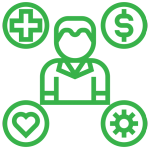 Interested in learning more about Greene Resources? Check out our success stories and let us know how we can help you. The Society of Human Resource Management is celebrating Flexible Work Arrangement Week this week (May 7-May 13). Over the past several years, the modern work environment has changed. With new technology allowing greater accessibility when away from the office, it can be hard to balance when one’s work day starts and ends. On the other hand, this also allows businesses an opportunity to provide flexible work arrangements for their employees, giving them more control over how, when, and where work gets done. In celebration of Flexible Work Week, we would like to provide some suggestions on how you can make your office a more flexible place. Very few people enjoy being micromanaged. Managers should give enough guidance and instruction to their team so they know the goals that need to be accomplished. That said, managers should also offer the freedom and independence to accomplish these tasks. The best way for an individual to develop is to let them create their own path. Maybe it’s not perfect the first time around, but the learning process helps them grow. Providing weekly or biweekly check-ins so employees can ask questions or managers can help course correct allows employees to have a sense of ownership in their duties while still providing support when needed. Greene Resources’ office environment allows for individuals to have several options to change where they work on a given work day, including drop-in offices that can be reserved as needed, couches and lounge chairs for less structured meetings or brainstorming sessions, a laptop bar, and even a balcony for employees who want to work outside. While not every business allows for this type of work environment, providing the opportunity to work remotely or from home on an as-needed basis is a great way to give employees the flexibility they need. Keep in mind that getting results is what you want them to achieve regardless of where the work gets done. Demonstrating trust in your team to accomplish goals outside of supervision can also produce the side effect of happier and more productive employees. Most service-based businesses require set business hours so their clients and customers know when they can be reached. That said, set business hours don’t require an absolute guideline for when each employee is in the office. Allowing employees to adjust their start/end times on an ad hoc or indefinite basis is a simple act that can provide much-needed relief for employees with long commutes, child care needs, or other personal schedules. Offering flexible hours during the summer is a great incentive that allows employees to step away from the office to enjoy the season, but requires them to complete their weekly goals and tasks first. At Greene Resources, we believe it’s important for our employees to feel like they have the flexibility they need to have a productive and successful work day, but also that they have the time to experience life away from the office. By creating an environment of flexibility, employees can feel confident that their manager and company has their best interest at heart. By valuing your people above all else, you can make a lasting impact in the careers, businesses, and lives of those you serve. After a challenging and exciting season, the UNC Tar Heels clinched the victory during last night’s March Madness Championship and Tar Heel fans across the country are showing their excitement today by sporting their Carolina blue. In our Greene Resources office this morning, more than a few conversations turned into discussions of the highlights (or lowlights) of last night’s game. March Madness is one of our favorite times of the year at Greene; we kick off the tournament with a potluck-style barbecue, broadcast the first few games in our breakroom, and have a fiercely competitive company-wide bracket challenge (congratulations to our COO, Cherié, on this year’s win!). 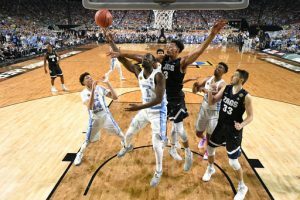 This month of constant basketball has taught us a lot about the game, but basketball also serves as a powerful metaphor for the job seeker’s experience. There Will Be Upsets. This season began with several upsets right off the bat, whether it was 1-seed Villanova losing to 8-seed Wisconsin, or 2-seeds Duke and Louisville losing early on to 7-seeds South Carolina and Michigan. Upsets happen and small or minor decisions can lead to unexpected results, for better or worse. As job seekers, it is important to learn from mistakes, brush yourself off and try again. It’s Not Over ‘Till It’s Over. In basketball, you learn to never count out a team until the buzzer has sounded – the same goes for your job search. You may be applying for a position that seems out of your reach or maybe you feel like you bombed an answer to an interview question, but it is important to continue with 100% effort and determination until the end of the process. Make sure to consistently make a strong impression through things like your resume, a thank you note and follow up. Sportsmanship. We have all watched that player who gets angry after a foul is called, but just like in a career search, a bad reaction leaves a lasting negative impression. Rejections from positions will happen, but it doesn’t mean the door is fully closed. Your network should always be growing and developing. You never know who from that company you may meet or connect with in the future, so it’s important to never burn bridges, but instead be professional and polished in all of your interactions, even if you feel like you got the raw end of the deal. Be prepared, mentally and physically. When a player is physically in the game, but not truly there mentally, you can tell. Similarly, a successful job search requires both mental and physical engagement. Mentally, understand the type of position for which you are applying and your strengths and weaknesses for that type of position, along with how you can bring success to the company. In the same way, you must also prepare for the physical requirement of the job search. Understand how time-consuming and exhausting the search can be and prepare accordingly. Appropriate preparation will ease the difficulty of your job search. If you’re a job seeker who is searching for your next career move, we’d love to offer some resources to help you on your way. Our Job Seeker Resource Center offers helpful tools including resume guides, interview tips and best practices, and assessments which showcase your talents and abilities and how to use them to land a fulfilling career. When you’re ready to step onto the court and begin your career search, look at our current open positions and apply for what could be your next slam dunk career! 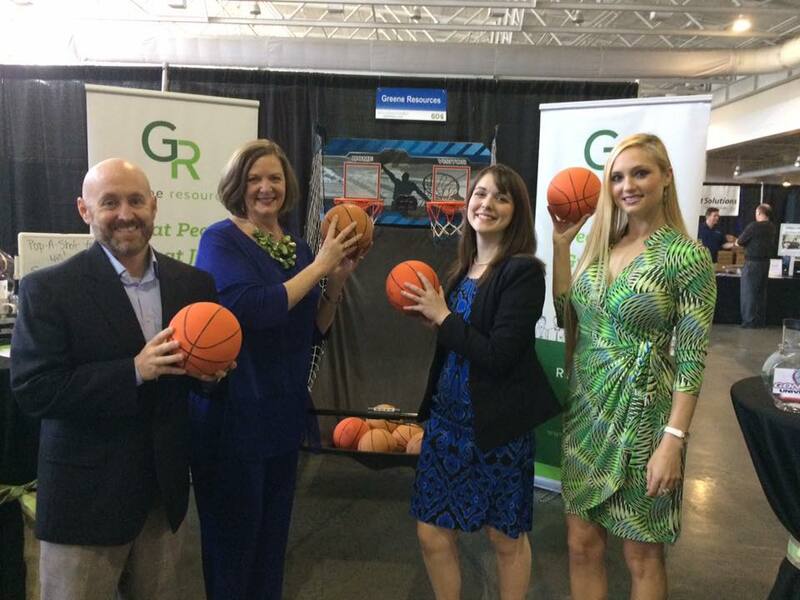 Each year, Greene Resources attends the Greater Wilmington Business Journal Conference and Expo. This year’s BizExpo featured nearly 150 different local Wilmington businesses and a dozen seminars on different topics, ranging from marketing advice to leadership and communication tips. The keynote speaker was John Gizdic, the new CEO of New Hanover Regional Medical Center, which has over 17,000 jobs directly or indirectly related to its business, making it Wilmington’s largest employer. John Gizdic provided helpful insight as a healthcare administration expert regarding not only healthcare policy and practice, but also on leadership and what it takes to run an effective organization. Business in Wilmington: It’s a good time to do business in Wilmington, NC. Wilmington’s population growth is higher than the state average of North Carolina, which is even higher than the national average. Smooth Transitions: Gizdic took over the role of CEO after Jack Barto, who served as CEO since 2004. Gizdic said that the most important component in the transition was ensuring the culture of the business itself remained the same. The transition of a role isn’t about the individuals, but the organization. Healthcare: Gizdic acknowledged both the benefits and problems created by the Affordable Care Act. He discussed how after the ACA took effect, the number of individuals who received preventative care and went to the doctor increased significantly and the number of charitable cases conducted by the hospital dropped. However, this also created a rise in cases of individuals who went into debt to treat their care due to having high deductibles, among other concerns. Gizdic believes that the root of the issue is finding a way to fix the economy of healthcare, referring to a statistic stating that if the U.S. healthcare industry were its own economy, it would rank 3rd worldwide, second only to China and the U.S. Repairing healthcare will be a long, difficult process, and it will be important for individuals to find a way to work together to fix those issues in a bipartisan way so that people are able to get the treatment they need. Effective Leadership: Gizdic stated that the most undervalued characteristics in leadership are vulnerability and practicing open communication. These attributes allow you to be human and connect with people, and connecting with people is critical to building trust and momentum. Working in healthcare means people are coming to you at their most vulnerable state; it’s important to be vulnerable with them as well to have a relationship built on trust. Our Greene team always appreciates the opportunity to attend the Wilmington Biz Expo as it provides an informal and fun atmosphere to meet new members of the community and reconnect and continue to build existing relationships. This event brings the whole business community of Wilmington together to learn how to support each other’s businesses, which benefits everyone. Though exhibiting businesses ranged across all industries and themes and handouts ranged from Magic 8 balls and T-shirts to pickles and ping pong, the heart of the event was having genuine conversations with other professionals. By making connections with others in a fun and informal environment, you may uncover connections or prospects that you would never have discovered otherwise. 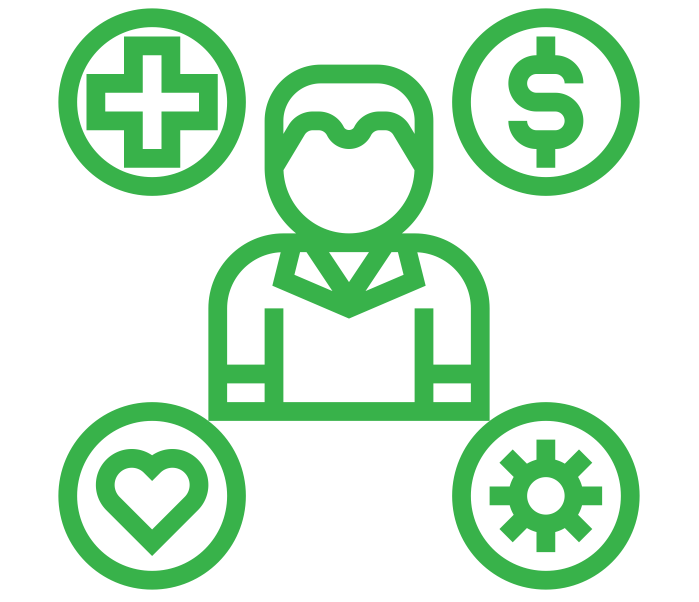 Greene Resources’ Wilmington division is committed to exceptional recruiting services for companies in the Wilmington, Carolina Beach, Wrightsville Beach, Leland, Castle Hayne, Kure Beach and Brunswick County areas of South Eastern North Carolina. We proactively recruit candidates in numerous fields to connect them with companies in such a way that jobs become purposeful, impactful and long-term careers. We are proud to be part of this community and enjoy attending this event each year. Greene Resources had the opportunity to be one of the Platinum Sponsors of the Greater Raleigh Chamber of Commerce’s Women’s Leadership Conference on March 23, 2017. 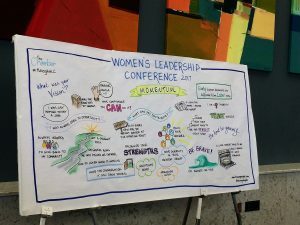 The Women’s Leadership Conference is an annual half-day event where women leaders across the Triangle gather to network and learn from other female leaders. 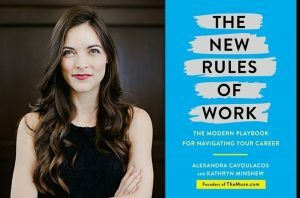 Topics included how to build the next level of leaders, how to gain strategies for influence and negotiation, how to break down biases, and how to gain insight on risk-taking. Featured panelists included Adrienne Cole (President of the Greater Raleigh Chamber of Commerce), Sara Glines (President and Publisher of The News & Observer Publishing Company), Barri Rafferty (President of Ketchum Worldwide), Amber Rupinta (Reporter and Anchor for ABC-11 Eyewitness News). The keynote speaker was Reshma Saujani, who discussed her non-profit organization, Girls Who Code, which works to close the gender gap in technology and prepare young women for jobs of the future. At Greene Resources, over 50 percent of management positions in our company are held by women, several of whom attended this event. We asked them to share what they learned from the various discussions and topics and how they will implement this into their work at Greene Resources. Overcoming Weaknesses: One of the panelists said, “You’re allowed to not be great at everything. Acknowledge your weaknesses, but find people around you who can support you and complement your abilities and weaknesses.” As someone who strives to be perfect at everything, it was comforting to know that it’s okay to struggle sometimes and that I don’t have to do it alone. Recognizing Bias: It was interesting to learn how we all have biases and that they can impact how we view everyday life and our jobs. It is important to recognize bias, even subconscious or unintentional bias, so it can be addressed, rather than overlooked or ignored. Being Trustworthy: Something one of the speakers said that I really loved was, “It’s more important to be trusted than liked.” This resonated with me because I strive to build meaningful and trusted relationships every day, but I also want to be liked and accepted. If you want people to respect you as a knowledgeable contributor, sometimes you must provide an answer that isn’t liked but is the right decision in the end. Serving Others First: During a breakout session, one of the speakers shared, “We are defined as much by our small acts of kindness as we are by our great successes.” This is so important to remember, especially in our industry. The way we interact with our employees means so much and the smallest act, whether it’s providing resources to assist with personal needs or discussing an accommodation, can make such a large impact on them and their relationships with us. Fighting Insecurity: Stop apologizing. Stop saying things like, “this might not be a good idea, but…” If you set yourself up by saying your ideas are not good, people might believe it. Have confidence and don’t give in to self-doubt. Delegating Builds Your Team: You are doing a disservice to those who report to you if you don’t delegate. You should be peeling off duties from your job description and adding them to your team. This gives them an opportunity to build their skills, develop themselves as leaders, and it also helps you focus on more strategic business needs. At Greene Resources, our vision is to connect people and companies in such a way that jobs become purposeful, impactful, and long-term careers. 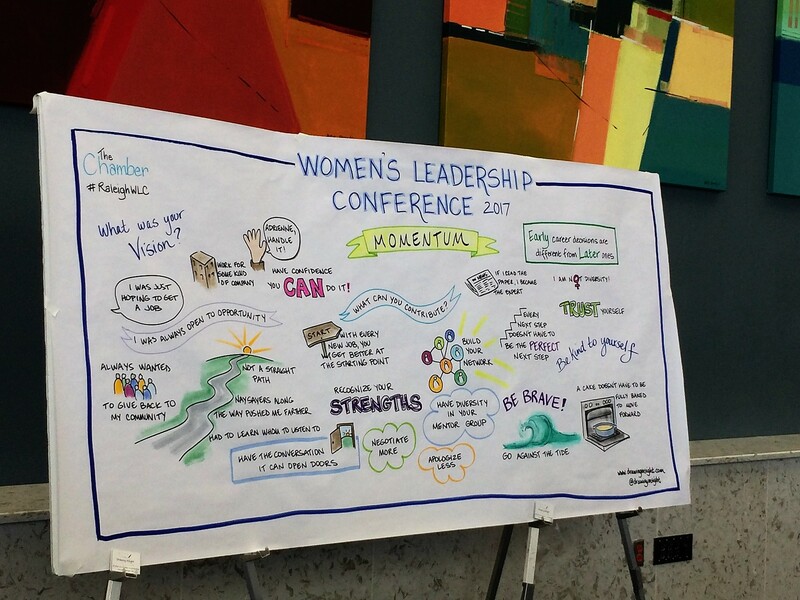 We are proud to sponsor events like the Women’s Leadership Conference which provide professional development to the business community of Raleigh. If you are interested in learning more about the Greater Raleigh Chamber of Commerce or are interested in attending events like this, please check out the Raleigh Chamber’s website. 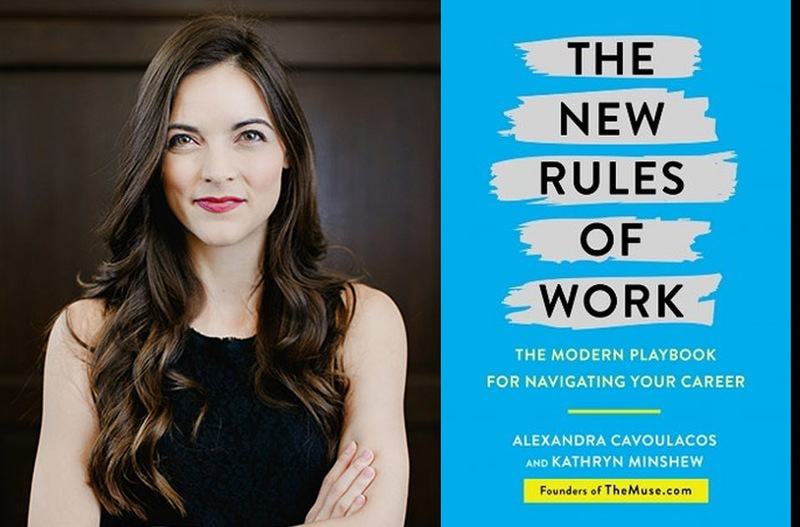 Greene Resources will be presenting sponsors for the Chamber’s upcoming Professional Women’s Luncheon on April 24, featuring the founder and CEO of The Muse, Kathryn Minshew, who will discuss The New Rules of Work. Is the one who thinks they can. Dr. Bell shares his own story of meeting Arnold Palmer on Celebrity Pro-Am Day of the Wells Fargo Championship one year at Quail Hollow. They were both on the practice green and Dr. Bell walked by Palmer, said “hello,” and Palmer nodded. Only after Palmer went to the first tee did Dr. Bell realize his mistake. He never shook his hand! 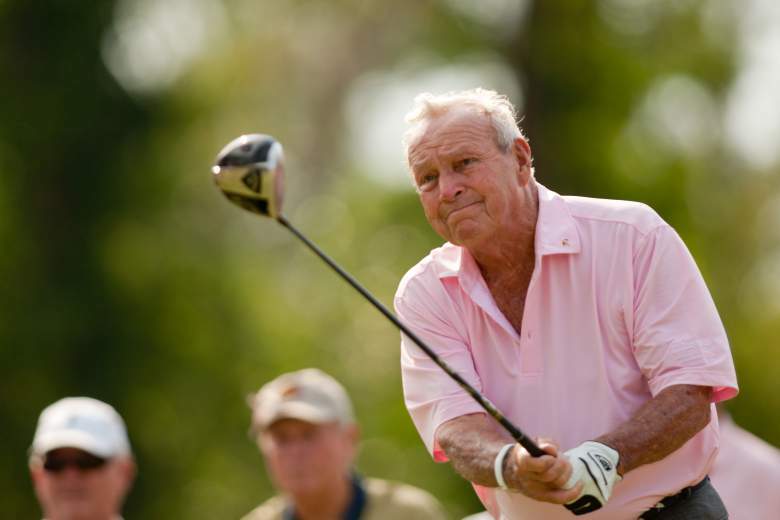 It was likely his only opportunity to ever shake the hand of the golfing great and he missed it. He was not ready, and the moment slipped away. In business, being prepared for the unpredictable creates greater success. Mental toughness ensures we are taking advantage of those everyday moments. Only then can we be ready for any opportunity that arises. At Greene Resources, we do not want to miss the opportunity to shake your hand in hopes of becoming your recruiting partner and helping YOU be prepared for the unpredictable. Our vision is to connect people and companies in such a way that jobs become purposeful, impactful, and long-term careers. It’s not about filling a job opening. It’s about finding the one person, that one mentally tough person, who will make a lasting impact on your company’s team and culture as well as feel accomplished through their work. We want to make a difference in your company, and we think we can.